Call for Full-service Expert Mediation with facilities. A legal dispute can disrupt your life. You may not relish the thought of a drawn-out, adversarial trial, especially if there is a chance that you and the other party can resolve the issues amicably. Fortunately, Florida courts encourage the use of mediation for resolving most civil disputes. State law requires opponents to try mediation before going to trial. As an experienced mediator, Brian has a reputation for bringing many cases to a satisfying conclusion without having to enter a courtroom. Additionally, he has helped many parties resolve some of their major issues before moving to litigation. During mediation, you and your opponent come before a neutral and unbiased third party. As your mediator, Brian will explain the process and ensure that you understand how you and the other individual will arrive at your decisions. Where appropriate, financial disclosures typically occur at this time, and Brian will guide you through this phase. Next, with advice from your lawyer, you and the other party will have an opportunity to make a statement about your concerns regarding the legal issue. At some point, Brian may have a private and confidential meeting with each side. A discussion may follow, facilitated by the mediator who will guide you toward a resolution. Any decisions reached are legally binding. In addition to avoiding a long, contentious court battle, mediation allows you more control of the outcome. You make the decisions rather than accepting the decision of a judge or jury. Because of this, you may also find that both parties are more willing to comply with the decision, saving the cost of further legal action. It is less expensive because the parties often reach a resolution within a day rather than undergoing a lengthy trial, which may be months or longer. It affords a better opportunity to come to a workable understanding, which may improve your future relationship with the other party. It is private and confidential except in certain circumstances. It provides guidance in seeing the issues from a new perspective, which may help you and your opponent get past any stumbling blocks in your negotiations. You may find that you and the other party are able to reach an agreement that is altogether unique from anything a judge or jury may have decided. Mediation allows this flexibility, and as a skilled mediator, Brian can assist you in exploring every alternative. If Brian works as your mediator, he cannot also be your attorney. He does not make decisions for you or offer legal advice. 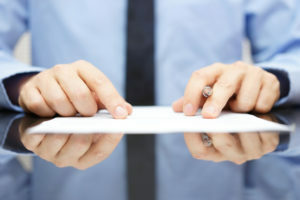 If you do not fully understand the dispute in which you are involved or the potential ramifications of a mediated decision, you should meet with a different attorney for answers to your questions. When you are ready to begin the work of reaching peaceful and dignified solution to your dispute, contact Brian R. Toung at our Daytona Beach offices. For a prompt response, send us an email with a description of your legal issue, or call 386-255-3425 to make an appointment for a free initial consultation.